How can you possibly combine an adventure story, a scary monster story and love story, all in one hilarious picture book that weaves in important messages about difference and acceptance? 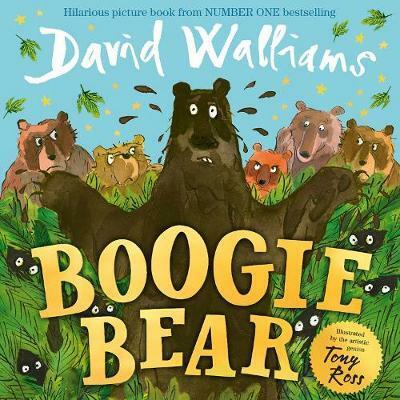 Well somehow David Walliams and Tony Ross have managed it. Polar bear is happy up at the North Pole, eating fish and sunning herself on an iceberg. Until she dozes off and her piece of iceberg drifts far away from home, slowly melting, until "Splosh!" into the water she goes. When she washes up on land, she encounters a hundred strange creatures. They are like her, but different. This is fun and fast-paced picture book with expression galore and laughs on every page. Tony Ross’s illustrations are perfect for the story, bringing out the funny moments and knowing just how to draw attention to the important bits. His sense of movement is fantastic, you can really imagine those trees and leaves wobbling and waving and then bears flying through the air with a “Twong!”. The text and illustrations work beautifully together, with the font size and positioning varying to emphasise story elements and support the images. I love the use of speech bubbles and break out boxes to integrate the story and pictures. The strong, bright backgrounds are well used to focus attention on the break out text and of course, the key characters. Funny fact boxes scattered throughout add an additional layer to the text for slightly older readers, eg “I would not recommend eating walrus. You have to smother it with tomato ketchup to make it taste nice” or “Bear paddle is like doggy paddle, but more beary”. Polar bear is a lovable character that will endear herself to children with her cries of “oh dear, oh dear, oh dear!” This is a funny and quirky picture book with a lovely story about bears overcoming their fear of difference and learning to love one another.